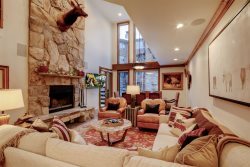 With views of the Deer Valley ski runs, this newly remodeled 1-bedroom, 1.75 bathroom, 990 square foot unit has all new stainless steel appliances, wood flooring, new counter tops, new bathroom tile and fixtures, and a 60" flat screen TV in the living room. 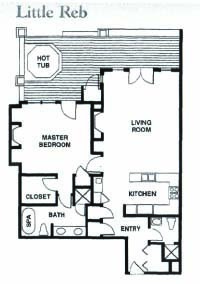 There are wood burning fireplaces in the living room and the master bedroom. There is a new queen size couch bed in the living room and a new California king bed in the master bedroom. On the outside deck facing the ski runs is a private hot tub. The master bathroom has a jetted tub with separate shower.